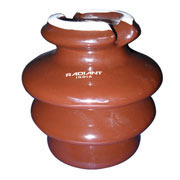 Radiant Ceramic - Manufacturer of pin insulator, disc insulator & bushing insulator in Morbi, Gujarat. 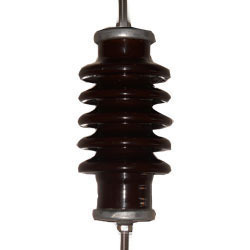 12kv 5ka metal oxide gapless lightning arrester. Precisely weighed raw materials are charged in a ball mill. The ball mill is lined with proper porcelain and alumina bricks. 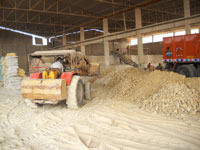 Good quality alumina balls are used for grinding. The material is ground for 3 hrs till the slurry is prepared. The time is measured by Hour meter. 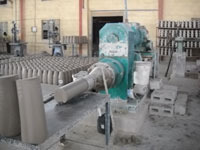 The slurry is passed through magnet and vibrating sieve to avoid all oversized particles and magnetic impurities. It is then stored in an underground blunger. The fineness of the slurry is measured in 200 Mesh Wire net. QUALITY PARAMETERS : Water Quantity and Quality, Running of Ball Mill- Time and speed, Slurry Properties. Extrusion of the material is done in a pug mill attached with the vacuum pump. This removes the air completely and the sizing of the cakes also takes place here. 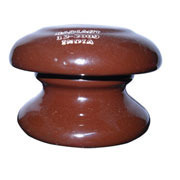 The cakes take cylindrical shape as per the size of the mouth. QUALITY PARAMETERS : Size and Shape Of cakes, Rate of Extrusion. The Pugged masses are shaped into raw cylindrical masses. 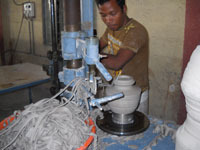 The process is carried out manually, automatically in a machine as well as on a semi automatic machine. For all the processes the moisture content is different. 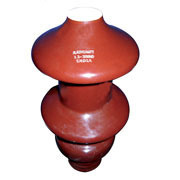 QUALITY PARAMETERS : Moisture content, Shape and size. 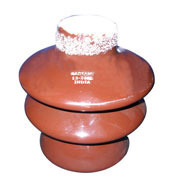 The shaped masses are given the outer shape in a copying machine with a different type of template as per the insulator design. QUALITY PARAMETERS : Dimensional parameters, Hardness of materia. The shaped and dried pieces do not have the exact finish. The finishing process is carried out to give it proper surface finish. The critical dimensions are checked here with the Gauges. The water finishing is done to remove the dust from the surface and make it smooth. 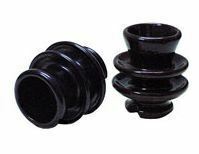 QUALITY PARAMETERS : Surface Finish, Dust removal. Dimensional Control. 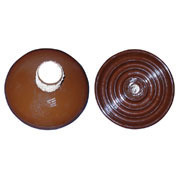 The completely dried insulators are glazed with glazing solution by dipping or spraying. The slurry is pumped to filter press where excess water is removed. It takes about 1 hr for the water to be removed from the material mass. 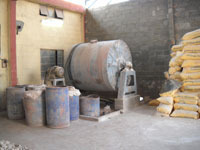 The required moisture content is achieved in this stage. This results in formation of cakes. Moisture content differs from process to process. 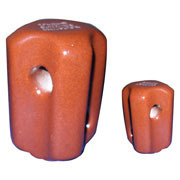 Quality parameters : Moisture content and forming properties of material. 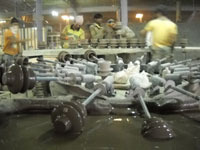 Glaze material is prepared in ball mills. They are stored for use as and when required. 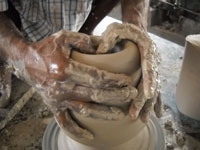 Quality parameters : glaze material properties. 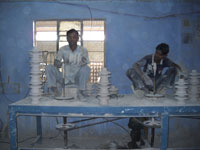 The testing of each piece is done as per the requirement of the IS standards. Electrical as well mechanical properties are tested. After cleaning the pieces, visual inspection is done as a QC measure to sort out good products from unacceptable pieces. We purchase our material from the most reliable vendors. The quality in terms of material standards, delivery timings as well as confidence in the supplier are the major parameters to judge a supplier.